Is Publishing a Book on Your Bucket List? Is 'Publishing a Book' on Your Bucket List? If you've always wanted to publish a book, but never had the time; or the know-how. Imagine how great you will feel when your book is finally published! Do you have a dream to publish a book? Perhaps you've been carrying the dream to publish a book for 10, 20, or 30 years. It's a heavy burden, right? That was me 5 years ago; and so I know how it feels to have a strong unfulfilled desire to publish. Like me, you may have spent years writing your manuscript. After decades of dreaming about publishing a book, I was starting to feel foolish; and beginning to feel like my dream to publish would never come true. But right before giving up, I stumbled across a new, almost secret, publishing method brought to us by the digital age. 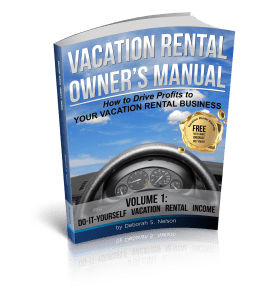 Once you read this entire article you will discover the beauty and simplicity of the amazing digital development called Print on Demand, and you'll earn two free self-publishing tools found within this article. What does knowing the secret of Print on Demand mean? 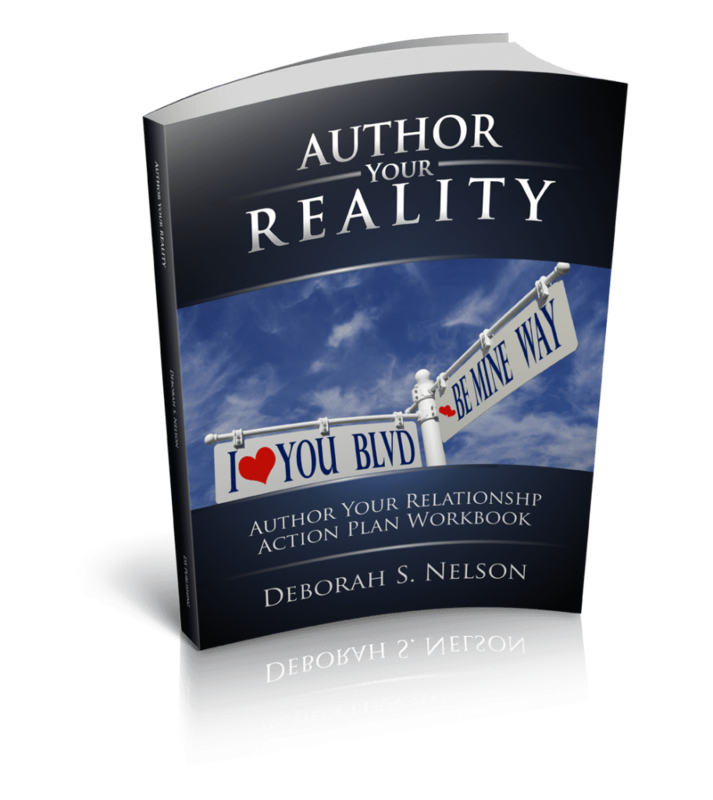 It means ordinary people like you and me can be published authors! 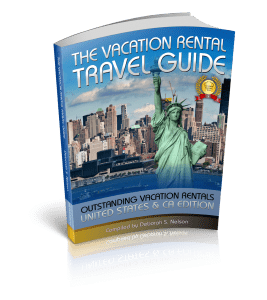 As you read on, you will learn of a publishing venue that allows you to own 100% of your copyrights and earn 100% royalties on books you sell yourself! This is unheard of in traditional publishing. For years, I worked inside the publishing business; and knew first-hand how “impossible” it was to become a published author. You see, I was the “mean-one” inside the publishing company—the one responsible for writing all the rejection letters. Thousands upon thousands of manuscripts were submitted to the publishing company by hopeful and aspiring writers. They stacked up regularly in the corner of my office all the way up to the ceiling! Many books were wonderfully well-written, and during the years I worked in publishing, I read and scanned thousands, perhaps up to 20,000 manuscripts. As an editorial assistant, only one book in all those years I personally selected made it all the way through the system to publication! As a hopeful "wanna-be author," even though I was on the inside, the whole process sickened me. And through this hands-on experience, I realized that getting published was truly "a needle in a haystack” proposition. If you are anything like me, and don't like the feeling of rejection, when I found Print on Demand publishing, I was ECSTATIC! Finally! There's a way for you to bypass the painful manuscript submission process to get your book published! 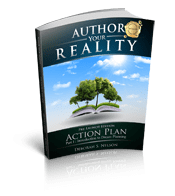 And because of your dedication in reading this far, you will get a powerful gift to activate your self-publishing journey when you reach the end of this presentation. To finish this story, I was so excited to escape this humiliating process that I eagerly and went to work. Within 4 years, I had written and self-published 11 books. As someone with a publishing, advertising and printing background, luckily I was able to navigate through all the frustrating kinks and quirks of digital publishing! Now as a publishing coach, I help others to bring books into the world in the most creative and cost effective way possible. There is no better feeling than being a published author, and helping others to achieve that great feeling too. It’s what gets me up in the early mornings and makes me thankful to be alive! Using this valuable experience, I've created a step-by-step publishing curriculum. You too, can enjoy the life-changing experience of becoming a published author. "You're a good writer (even great) but without being published, who will ever know? With digital publishing, you'll never get rejected; and you'll be a published author!" Stop jumping through the old-school publishing hoops with their unfair profit margins. EARN royalties of 60% and more! AUTHENTIC CONFIDENCE: Expect a surge in confidence which can increase by 25, 50 or 100%. More confidence translates into more earning power. be invited to more social and business events than ever. More connections mean more money. may even list or promote you. This can earn you speaking renumeration. and charge a generous fee for your knowledge and services. MEDIA ATTENTION: As a published author, you may seek or be invited for interviews on radio, TV, and in print. You can expect a jump in your book sales right after a media interview. be able to command more money. This course pays for itself! 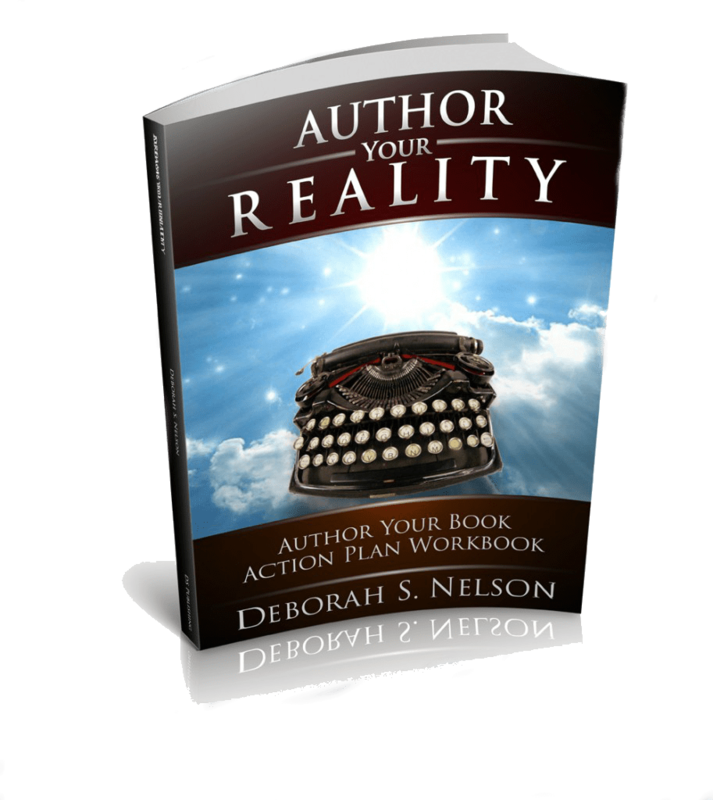 CREATE & PUBLISH a personal vision book with new goals and a plan for achieving them. 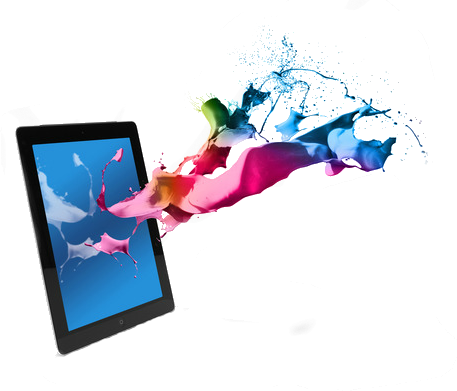 SPEED through the digital publishing steps in record time! DESIGN a compelling book cover in just a few hours. PUBLISH a 40-page full-color book by the end of the course! Publish Your First Book in Only 7 Weeks! Prerequisites for the My First Book Course only requires a basic understanding of the computer, the English language, and that your brina a passion to write and publish a simple first book. We are not looking for scholary or pefectionism but to accomplish the ask of pubishing your first book. Additionally you will need a laptop for the Saturday book labs. 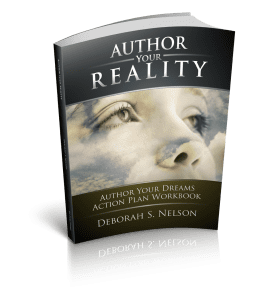 The course uses both the Dreams to Reality text by Deborah S. Nelson along with the companion Author Your Book WORKBOOK. 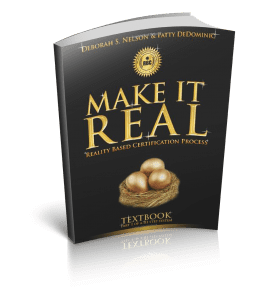 This dynanic duo teaches you how to fine tune your authentic creative zone to write and publish a simple book in storybook form in 7 weeks; using the BOOKSMART proprietary software. Ms. Nelson also offers other publishing books & courses. 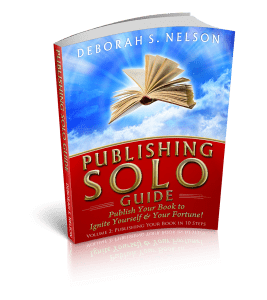 The Publishing Solo Guide is a do-it-yourself workbook to teach writers unnable to attend online or physical courses even or hire Ms. Nelson as a private publishing coach. Publish Your Book Blueprint is a weekend or private course to familiarize writers with the digital publishing process as well as to create a physical book blueprint of a book concept in preparation for publishing to Amazon.com. 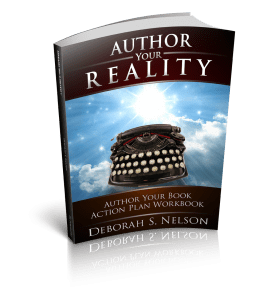 Ms. Deborah S. Nelson teaches self-publishing using an easy to understand 10-step chronological method based on her experience in the publishing business. She is super organized and employs many secret weapons to make the process fun, creative, and easy! 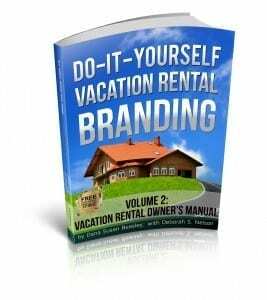 Author of 3 books on the subject of creating books including, Author Your Book Workbook, Publishing Your Book Blueprint and Publishing Solo Guide. She likes to hammer on the fact that creating a book is a 3-fold project--first you write the book; secondly, publish the book; and lastly share, or market the book. She says these are 3 distinct processes. and need to be treated as such. 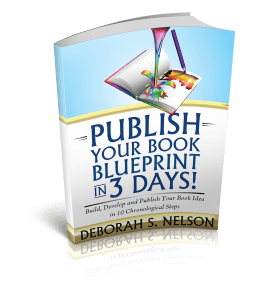 The Publish Your Book Blueprint in 3 Days is an intensive abbreviated fast-paced overview curriculum to launch authors-in-the-making into the self-publishing zone. Through this course, you will set up a self-publishing account, create a book cover, and upload a journal-interior that will position you to become a published author on the Largest Bookstore on Earth, Amazon.com You will publish a book proof, with an interior which becomes the blueprint for your final book. By the end of the 3 day online course you will have hands on experience with all the components required to self-publish your book on Amazon. 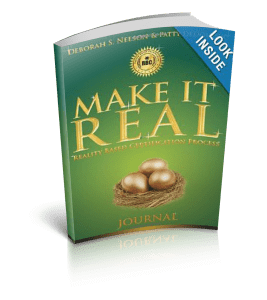 You can sign up for Book Blueprint Online Workshops, a Book Blueprint Private Course with Deborah S. Nelson, or if you want to do-it-yourself, simply buy the book on Amazon.com. 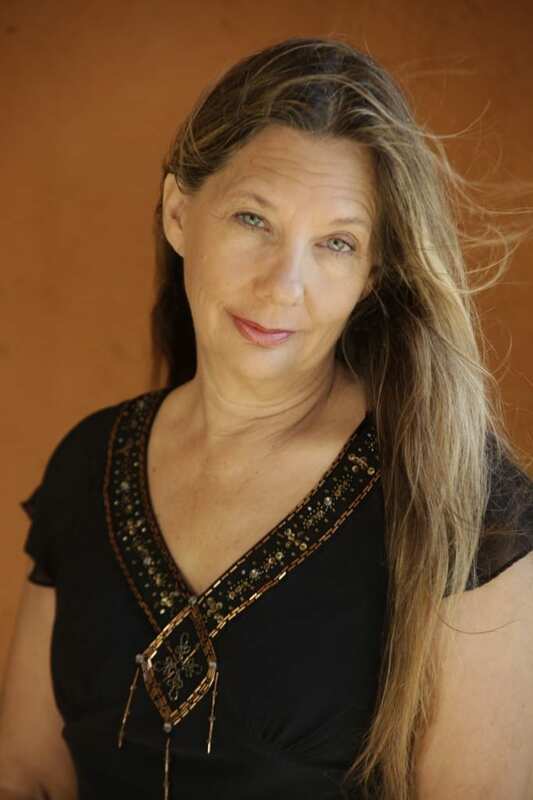 Publishing SOLO Guide: Publish Your Book to Ignite Yourself & Your Fortune! 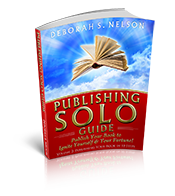 Publishing SOLO Guide, by Deborah S. Nelson, to be Released in Summer of 2014. 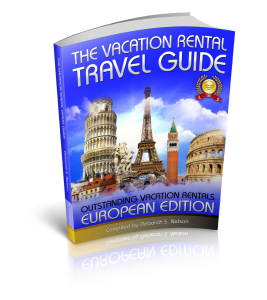 6 years agoPublishing SOLO Guide: Publish Your Book to Ignite Yourself & Your Fortune! Today is the 1st Day of the Rest of Your Life! TODAY is the 1st Day of the Rest of Your Life. Have you Always had a dream to write & publish a book? 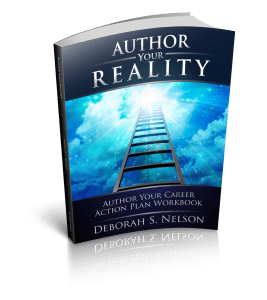 Author & Publishing Coach Deborah S. Nelson's self-publishing curriculum has taken many first-time authors through the digital publishing journey to publish some 100 books. 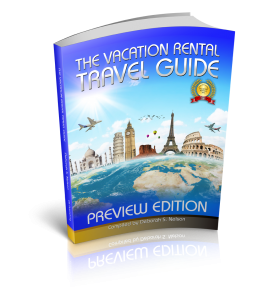 Many students & clients are publishing 2nd & 3rd books! Author of 11 self published books, Ms. Nelson is creating her most exciting book yet: THE SOLO PUBLISHING GUIDE: Publish Your Book to Ignite Yourself & Your Fortune, to be released Fall of 2016. Claim Your Free Gift Now! You have read all the way through this presentation, and you know I am dead serious about preparing writers get to the finishing line! It is my passion and calling to launch more new published authors than any one publishing coach has ever done. Because you have read this far, you are serious about publishing your book and just like me, you will do "whatever it takes!" No matter what your age, don't worry if you aren't published yet, it took me 30 years to fulfill my dream to publish. 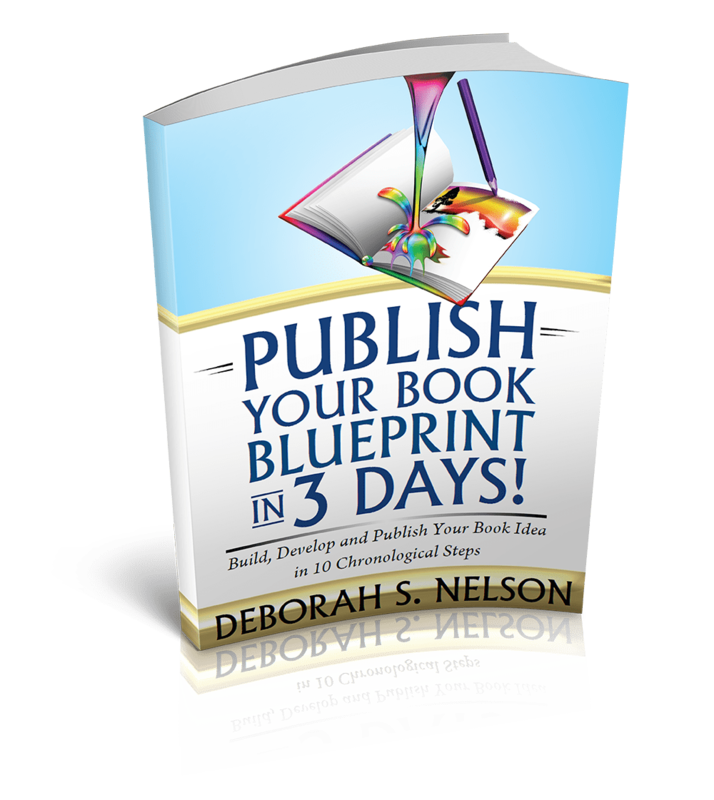 But now, with Print on Demand publishing and my step-by-step instructions, you'll publish your book blueprint in just 3 days! Regardless of your buying decision today, I want to help you launch your dream to publish now! THE most powerful step in the Self-Publishing process. When traditional publishing companies accept a manuscript for publication, an agreement is signed. So do yourself a favor and, take this first step and sign an agreement with yourself! IT COSTS ABSOLUTELY NOTHING and will propel you to honor your dream to publish your book before you die. Jump on our mailing list to get this self-publishing form for free (Step 1). You'll also find out about Step 2, another free bonus! 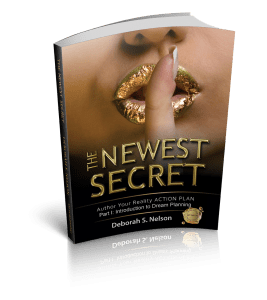 When you register for my course you will also receive the ADVANCED DIGITAL VERSION ($40 value) of my latest book, The Newest Secret (List Price paperback $19.95 and digital version $39.95). This is a great way to prepare for the course. 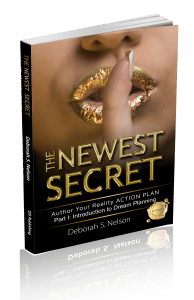 In fact you will get a copy of the PUBLISH YOUR BOOK BLUEPRINT E-Book one week before the course starts: and a copy of THE NEWEST SECRET immediately after you register. The course begins in November (don't worry—each class session is recorded—download the entire 3-day course and do it any time you want on your own). 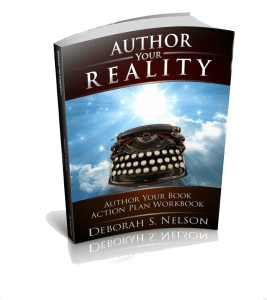 With The Newest Secret and Publish Your Book Blueprint you can get started right away preparing yourself and your book for publishing! See you in class in November! 6 years agoThis Course Changed Me. 6 years agoShe Gets You Published. 6 years agoGentle Publishing Process. 6 years agoLiving Her Best Life. 6 years agoWhole Book Came Together. 6 years agoDown to Earth. Easy Road to Goal Achievement. Best Feeling in the World. 6 years agoBest Feeling in the World. This Author Gets You Going! 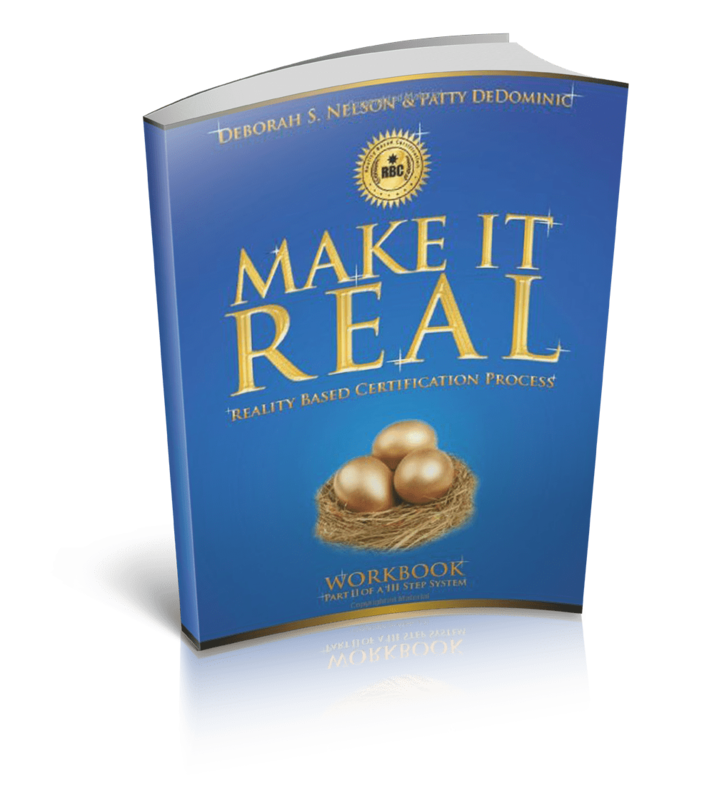 This Book Will Get You Dreaming AND Achieving! 6 years agoThis Author Gets You Going! Listen: I don't care if it's one hour from now, or 3 weeks from now - if you ain't happy, I ain't happy. Purchase right now. Try it out. If you like it, great! We exchanged a small amount of money for a large amount of value. Awesome! If it's not for you, don't even give me a reason why you want your money back. Just ask for it - and it will be returned promptly and quietly to you. Plus, we can still be friends. By the way, here is our support desk should you need to request a refund or need any product assistance at all with your purchase today. And keep The Newest Secret. It's our gift to you! You Risk Nothing & Gain Everything! P.S. Not quite ready to take a Publishing SOLO course? 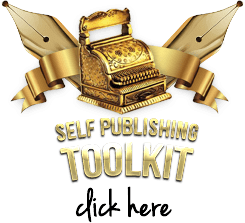 Self-Publishing Toolkit and launch your dream to publish a book today! Courses are taught online personally or in person by Ms. Deborah S. Nelson and "Seating" is limited.